“The Body Achieves What the Mind Believes.” This inspirational quote has been said by many and repeated by even more. As we enter the first week of May with most of the corn-belt in a state where conditions are not favorable to start planting. I wonder what emotions are running through growers minds? Are they positive and proactive or negative and detractive? Is my crop plan supporting maximum yields, regardless of the calendar date? As we are at the middle of May the pressure that many of you are feeling to get your corn crop in the ground continues to grow. But remember that you are on your own schedule, not your neighbors. Do not let the “coffee shop” talk play a factor in your crop production plan. The later we get in the year the more important your decisions are. That means that your mistakes are magnified, not reduced. Planting conditions must trump all decisions before you head into that field. Not the date on the calendar or what neighbor Joe is doing. Am I prepared to execute this plan quicker than normal, given a later Spring? What are the obstacles I need to overcome to follow the crop plan? Obstacles are simply what a person sees when they take their eyes off the goal. How do you avoid obstacles in farming each year? Do you stump them by setting goals and having a plan in place to meet them? One of the best ways to set goals and to be prepared for those obstacles is to set up a Risk Management Plan that will keep the focus on maximizing your production and farm profitability. Is my circle of influence positive and enthusiastic about helping me accomplish my goals, or are they detractors that are limiting me from a successful plan? Remember in order to do something; you have to first believe you can do it. The mind is a powerful influencer in how we react to adversity, and can make the biggest difference in achieving our goals. We would like to be in your circle of influencers. Call us today at (320) 523-2252 to see how we can help. 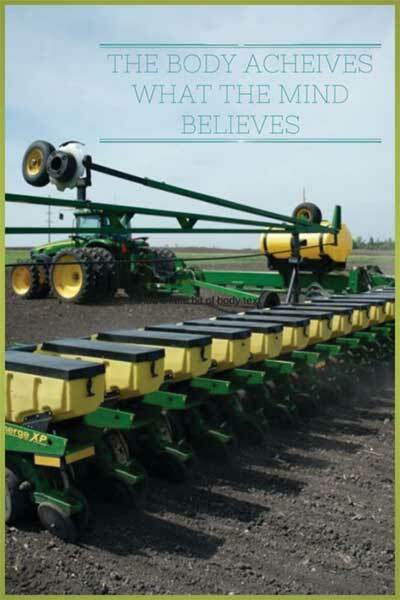 Have a safe and successful planting season.